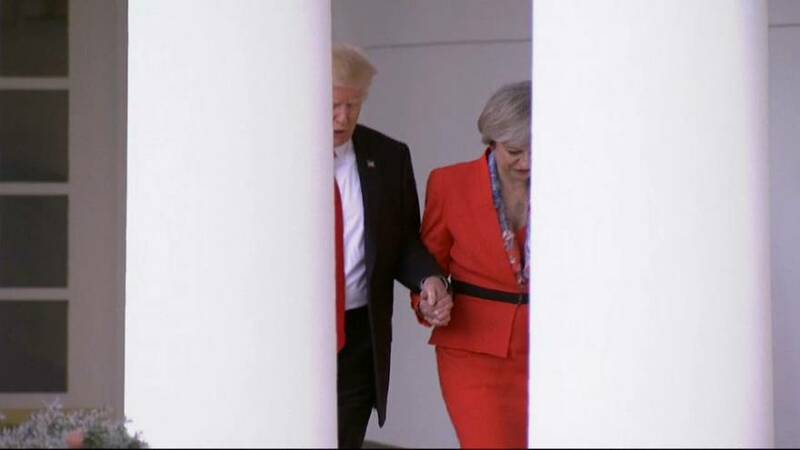 Theresa May was the first on a plane to the US to hold hands with a newly inaugurated Donald Trump, with high hopes of cementing the so-called 'special relationship' between the UK and US. But nearly a year later, trying to remain civil with the wild card president has proved a little tricky. Trump was immediately offered a state visit to the UK which includes being hosted by the Queen, but criticism of the UK's response to terror attacks began the downhill journey of the transatlantic friendship. Promises of mass protests on the streets and reported concern in Buckingham Palace postponed that visit and a low key one was instead planned for early 2018 to open the new US embassy. But the biggest slump came after Trump re-tweeted Islamophobic Britain First videos and May was forced to fight back. And even the Royal Wedding left Trump riled over speculation of an invite for Obama. It seems the tension will remain for some time yet.